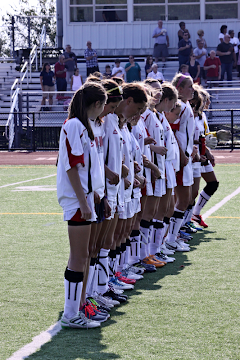 The Whitman Hanson girls soccer team earned a hard fought 1-0 victory over league rival Hingham. Elise McDonough earned her first varsity shutout making 8 saves in net for the Panthers. Stephanie Warn, Hayley Wells, Lily Higgins and Kelsey Gilbert all played strong defensive games in front of McDonough. Alexis Fruzzetti netted the game winning goal midway through the first half on a cross from Freshman Taylor Robertson.